Supporters of a left-tending social agenda will likely applaud the Boy Scouts of America for the new policy on homosexuality. I will say right up front that I am not happy about it. I am a Catholic Christian with social values that, for hundreds of years, were considered mainstream, but in the last few decades have somehow become conservative. The sexual revolution and its aftermath have been a disaster for our society, leaving a trail of death and damaged lives through two generations. Anyone who applauds this catastrophe as “progressive” or “enlightened” is pursuing an agenda at the expense of reality. So that’s how I feel. Like many involved in Scouting, the policy change towards homosexuality caused me to seriously considered leaving the program (I have been involved in Scouts as an adult leader for five years). But I am trying to live what Socrates called an examined life, which means that feelings must be subject to reflection. The new policy was adopted through a Membership Resolution that clarifies and emphasizes what the policy is supposed to mean. One way to understand the policy is to understand what it doesn’t say. The policy does not state that adults with a homosexual orientation can serve as leaders in Scouting programs. 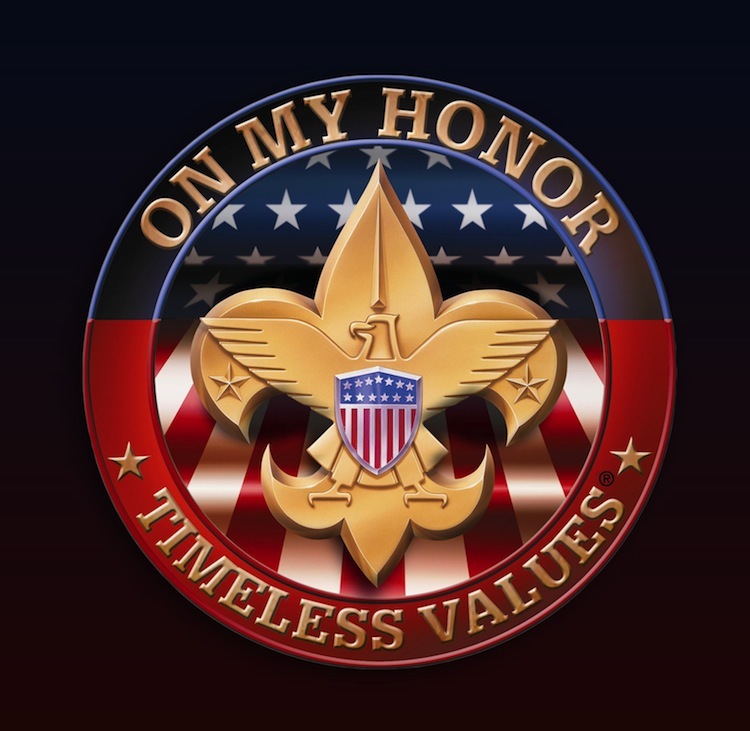 The resolution states: “the Boy Scouts of America will maintain the current membership policy for all adult leaders of the Boy Scouts of America.” That policy is that adults with a homosexual orientation cannot serve as Scout leaders. Fully understood, this policy is no dramatic shift to the left. In fact, the new Scouts’ policy very closely parallels the not-so-new Catholic Church teaching on homosexuality. Edward Peters, an expert in canon law, points out the striking parallels in a recent column. So I will not resign from the Scouts. I was a Cub Scout and a Boy Scout, and now I am involved as an adult. I strongly believe in the program. More kids should join Scouting, and more parents should get involved. Scouting can and should be a family program, not just a youth program. The unfortunate fact of the new policy, however, is that it is unlikely to lead to an influx of new Scouts. People of a liberal persuasion, who disliked the Scouting program for its stand against homosexuality, will still find plenty of things to dislike. Some will find the patriotic components too strident. Others will think their sons should participate only in co-ed programs (the Scouts have one, by the way). Others will avoid any program that is supported so heavily by churches. So I for one don’t expect an influx. I would be quite pleased to be proved wrong about this. Which brings us to tolerance. Heaven forbid that the Boy Scouts new policy is a concession to tolerance. Modern people have somehow latched onto the odd notion that tolerance is a virtue. This idea is one of the most abused, confusion-inducing and ultimately destructive trends in modern thought. When you start urging tolerance as an end in itself, you are saying two things: “You can’t tell anyone else what to do”; and “I don’t have a principled basis for saying that.” If you insist on tolerance as a virtue, then eventually you will be unable to say with any clarity why anything at all is wrong. Actually, that’s not quite true. To the champions of tolerance, there is one thing that is definitely wrong: telling other people that what they’re doing is wrong. We don’t need tolerance. We need principles, morals, values. People with sound principles don’t need tolerance. They just need to be true to their principles. Here’s a good set of principles, which I learned as a boy, and which I continue to follow, as a matter of personal honor, to the best of my sometimes-shaky abilities. If you don’t recognize this list, then I commend to your consideration the organization that promotes it. And I encourage you to sign up your school-age sons and daughters here.